We wrote a piece in the Bikes We Like category a while back about the bespoke bicycles of Søren Sögreni. I was riding past his shop the other day and popped in for a coffee and a chat. If you write about bicycles and Copenhagenizing and suchlike pandemonium, a visit with Søren is a must. He's been referred to as the Grandfather of Modern Danish Bicycle Design. With 28 years of experience in his back pocket, it's a fair description. It's hard to figure out where the emphasis is - on Bicycle or on Design. 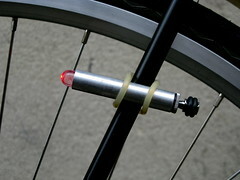 Bicycle Light by Søren Sögreni. Looking at his bikes and accessories you find yourself feeling giddy at the simplicity, the smooth lines, the attention to detail. The very essence of Danish design can be summed up like this: simplicity, functionality, informal elegance and a respect for materials and resources. The design products of Sögreni fit this description to a T. There is little surprise that his designs are often copied by other bike brands. They are, however, never matched. There is too much thought gone into them. 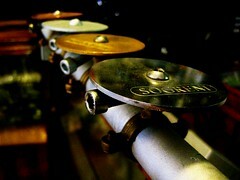 Each object has been on a long, creative journey from idea to final product. Not everyone possesses this dedication so it's easier to 'borrow'. 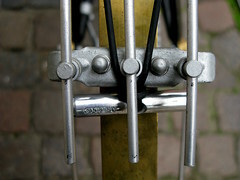 Brass Bicycle Bell on Handlebars by Søren Sögreni. I thought I'd do a piece about his accessories, after having covered the bikes in the earlier piece. Søren comes across as passionate and welcoming but with a gruff edge. It is clear that he loves the creative design aspect of his work. He is constantly playing around with designs and prototypes and new ideas. His bike shop is dimly lit and messy in an eccentric mad scientist sort of way - except for the fact that the bikes on sale in the shop are design icons with hefty pricetags. Bicycle Rack by Søren Sögreni. We bang on about how the bicycle is demystified in Copenhagen. How the average Copenhagener has little regard for 'gear'. It's all true, of course, but we do have a long history of design excellence and this passion for design is a part of most of us over here. 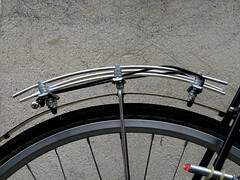 Bicycle Rack Strap by Søren Sögreni. So that's why the simple, gorgeous accessories that Sögreni produces are an exception to the 'no gear' rule. They are design pieces - 'objets d'art' - and for that reason they are worth saving up for. 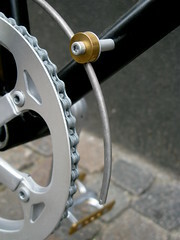 Bicycle Chain Guard by Søren Sögreni. And if you look at these accessories through 'bicycle gear glasses', they may not make sense. 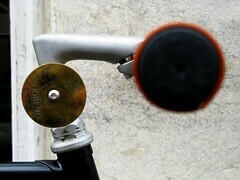 Looking at them as aesthetic additions to the bicycle, however, they fall into place in the grand scheme of things. Let's demystify the bicycle, but let's keep on making it gorgeous. Nothing wrong with that. 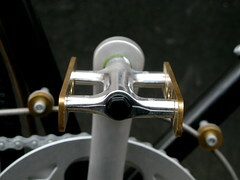 Bicycle Pedal in Brass by Søren Sögreni. 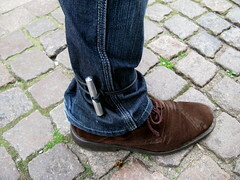 Trouser Clip by Søren Sögreni. 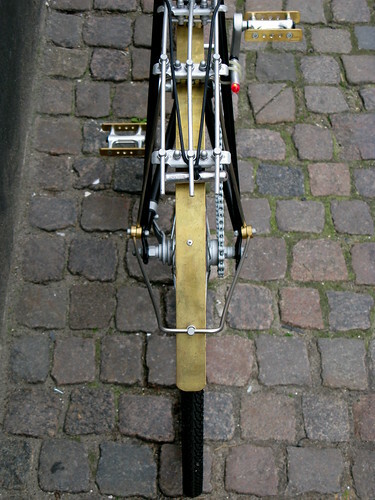 Back end of a Bicycle by Søren Sögreni. If you're ever in Copenhagen, pop into the shop for a sensory experience. There's a shop in Malmø, Sweden as well. 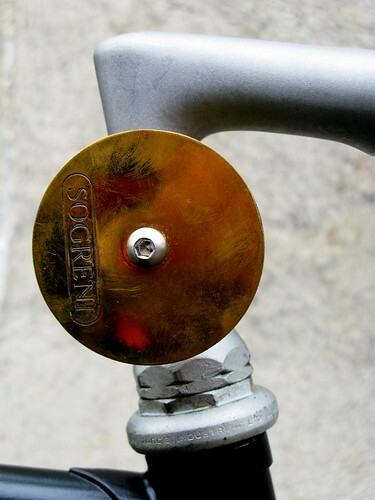 Sögreni's website is in English and if you live in the States, the good people at The Dutch Bicycle Company distributes Sögreni and other fine Danish bicycle products.